I am probably not the only person inspired by the recent New Zealand’s Hottest Home Baker episode featuring caramel garnish. 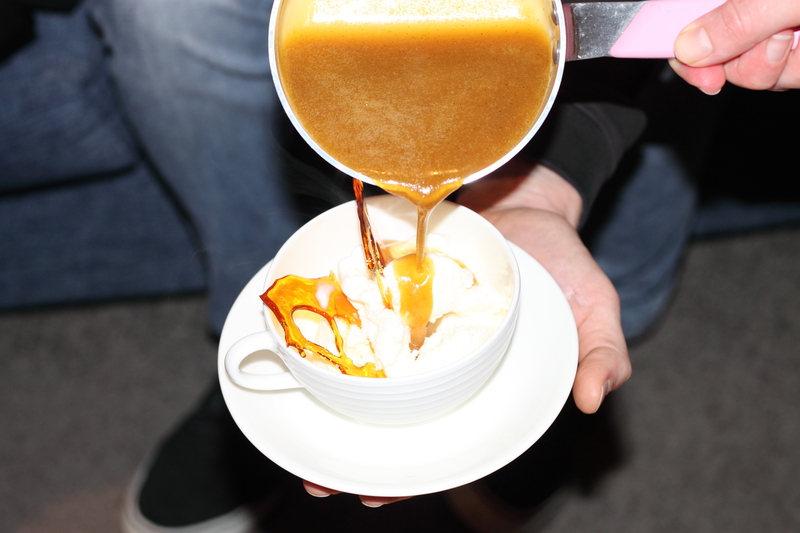 With my sister and sweet-toothed brother in law due for dinner later in the week, what better and tastier way to impress than a simple bowl of ice cream crowned with some caramel finery? I have had a life-long fear of creating anything involving molten sugar, following my mother’s dire warnings of children disfigured permanently following coconut ice and the like gone wrong. This may have been a ploy on her part to discourage rampant sweet-making and resulting hyperactivity. But now dear reader, as a fully grown human being, I am pleased to report that I am ready to tackle this one head on. Caramel garnish is not a field I feel I have the expertise in to start making up my recipes willy-nilly. 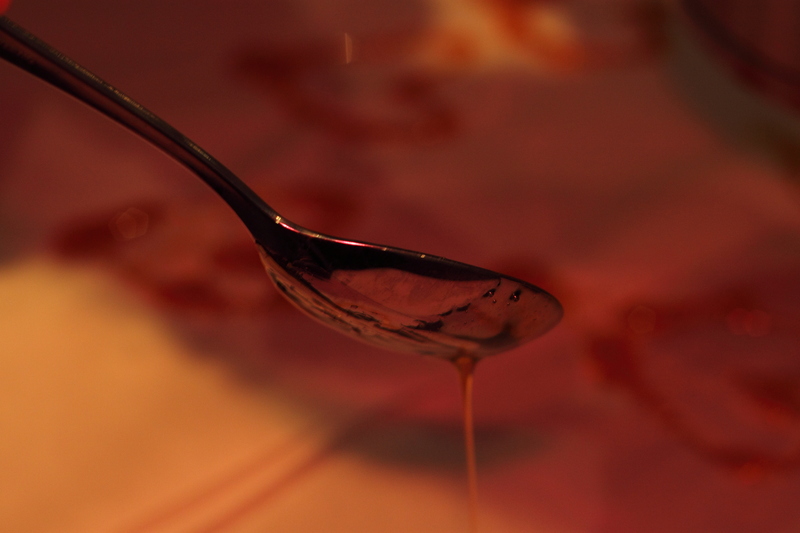 Not to worry, the internet is most obliging on the matter of caramel garnish. 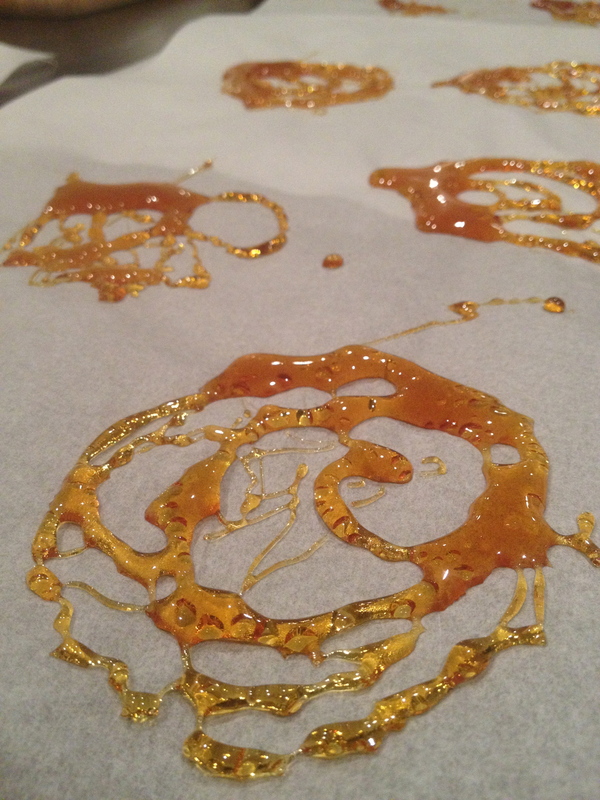 I used this lovely blog’s Decorative Caramel recipe. So, one needs to begin with melting some sugar. 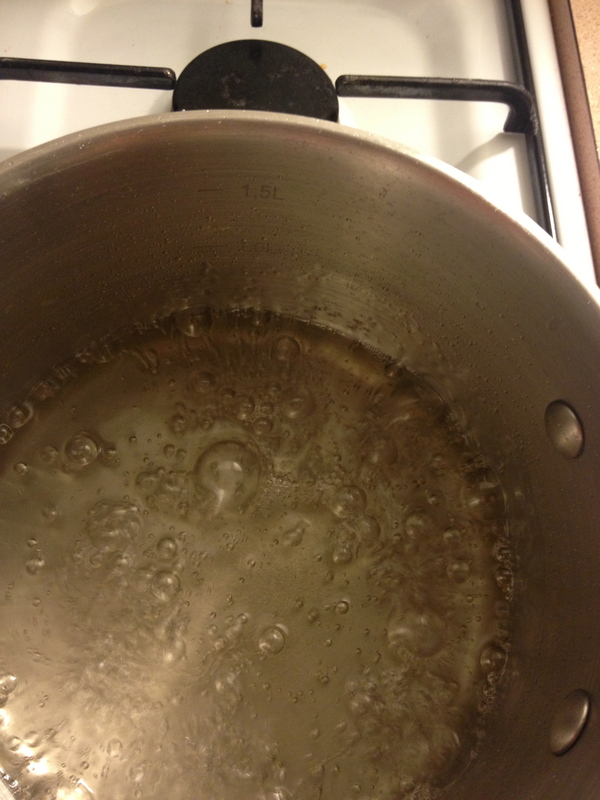 Taking a deep breath and banishing fears of third degree burns, I put my pot of sugar on the heat. The idea is you melt it until it starts to go amber. I found this took what felt like an age, to the point where I was contemplating googling ‘caramel not going amber’, except for abundant warnings about turning your back on the caramel for a mere second and finding the whole lot reduced to a smouldering mess. That would not be an auspicious introduction to decorative caramel. Lo and behold, after looking like a strange alien-like bubbly mass for at least fifteen minutes, it developed a most attractive warm amber hue. And now for the tricky bit. 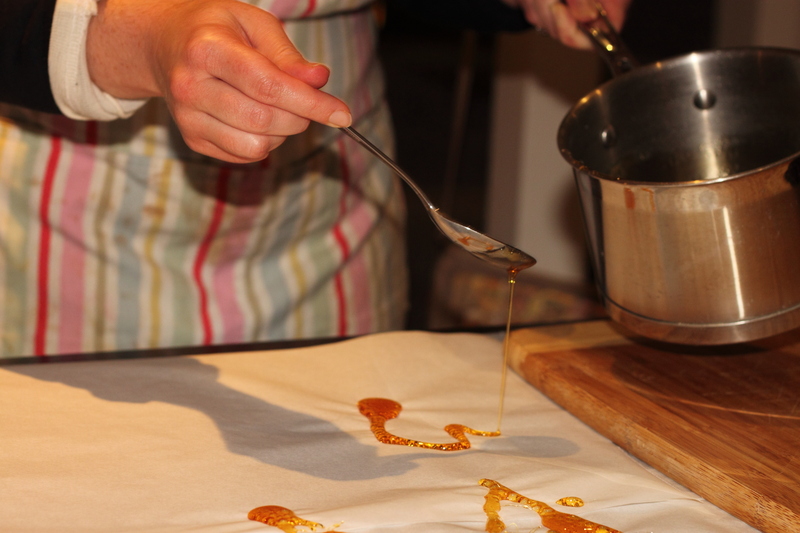 The internet, with a cavalier attitude, tells you to simply dip your spoon into the caramel and drizzle it onto your baking paper in attractive shapes. And for the real over-achievers, you can make baskets, spirals and I don’t know, probably name cards for your dinner guests. Frankly, getting any kind of shape out it took a few goes. We had some wonky hearts and some spiral whirly things. The Mr also made some rather rude shapes but I will not include photographs of such base humour. 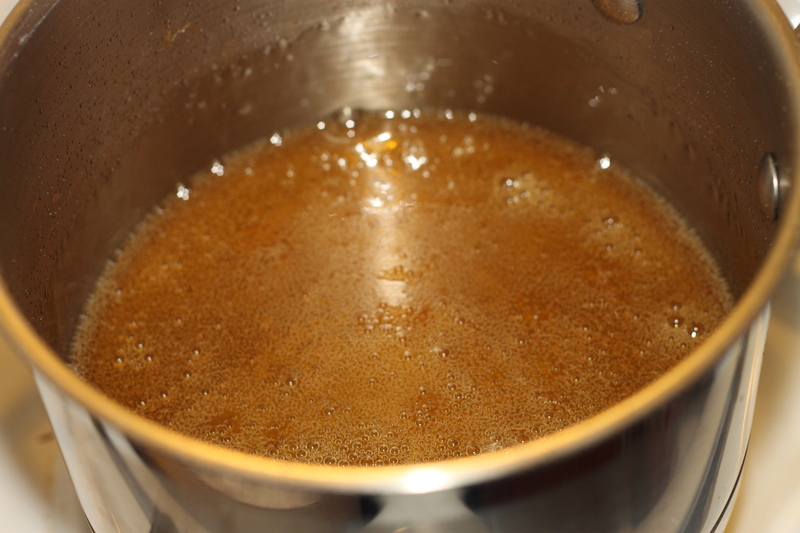 You will notice some of the shapes are a bit bubbly…perhaps I needed to leave the caramel to settle down a little, or boil it more softly? 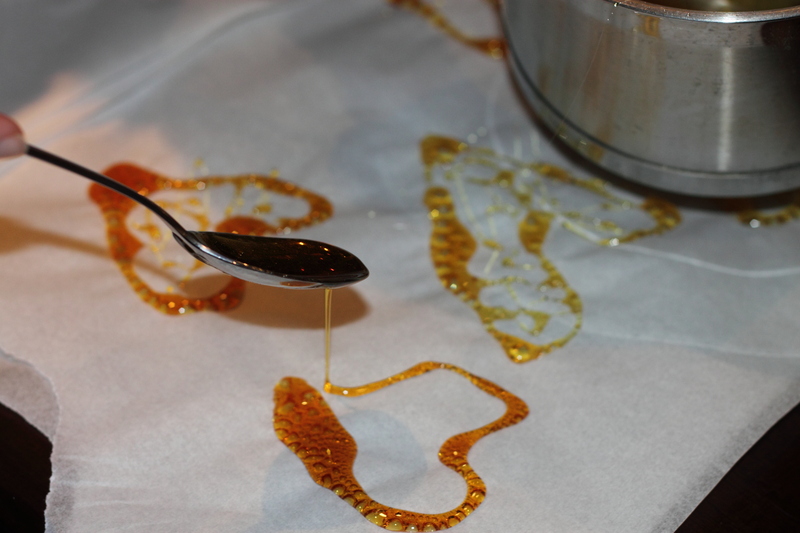 Once the shapes are all laid out on the baking paper and your caramel is all gone (or starting to harden, as in my case), you can leave them to set and peel them off the baking paper when they are ready. As it’s winter here and our heating is on a lot, I found mine were going a little sticky, but I popped them in the freezer and this restored them to their crunchy glory. To serve, I impaled the garnishes atop a mound of vanilla ice cream and we smothered the ice cream with Martha Stewart’s easy caramel sauce. Successful dessert and not a third-degree burn in sight. « What to do with parsley? 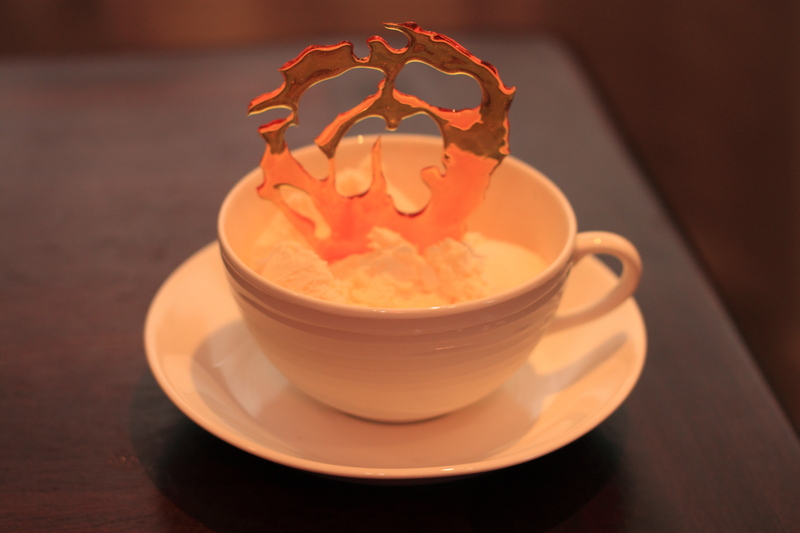 Love that you used tea cups to serve them in……very impressed ms J! Thanks! I found those teacups and saucers at the Salvation Army for only $2 each!